Sara Mezzacappa works for Italian Wedding Company web sites. She is Team’s Social Media Manager and Communication Specialist. She follows all our Social Media and all our Communication Strategies posting interesting contents and giving a big social plus to our web sites. She is Italian mother tongue but she speaks fluently English, Spanish and she also speaks French. She has a degree in Media & Communication Studies. She worked for a digital French multinational digital company providing innovating tools for insurance and bank firms. Thanks to her great software skills and communication expertise and long experience in digital market she is now our Social Media and Communication Specialist. 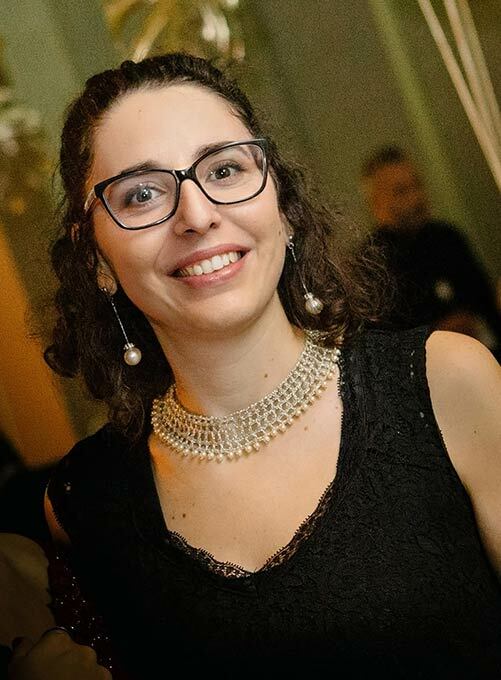 She is based in Piemonte and works in cooperation with Valentina Lombardi who is also Team’s Media and Communication Manager and Planners’ Coordinator. Sara is a clever and creative lady. She is precise and attentive and accurate. She has a very good eye for choosing the right contents and images to communicate the right thing at the very right moment! She has a good sense of humour and she is a very good team worker. She has a beautiful family and she loves spending time with her two kids and watch Disney movies. She loves outdoor walks in the nature in Summer and Spring time and she adores Italian gelato! She used to be a passionate volley player and as a matter of fact she still loves sports.